"Let's go on a lark!" The phrase itself seems so whimsically fun that you want to learn more. 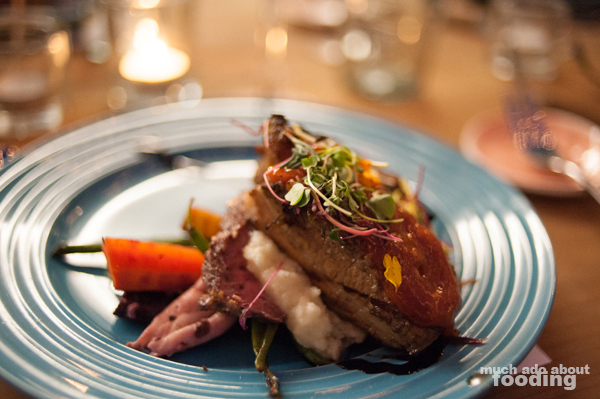 I had heard about Lark Artisan Market a few months ago but couldn't join them for their pop-up dinner then. Luckily, there was opportunity to attend Lark #19 by their invitation, and I was glad to have been a part. 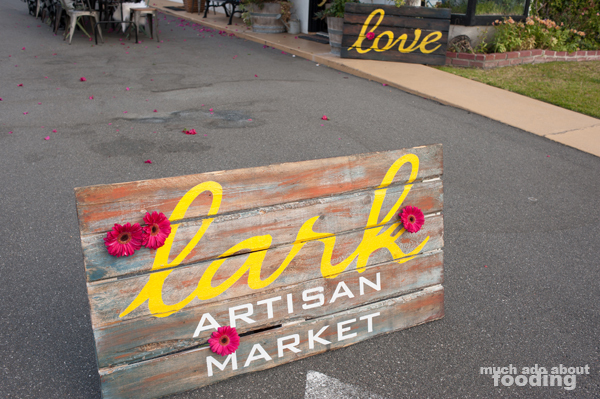 Lark Artisan Market itself is a pop-up concept that hosts dinner events with a featured chef at a featured location. 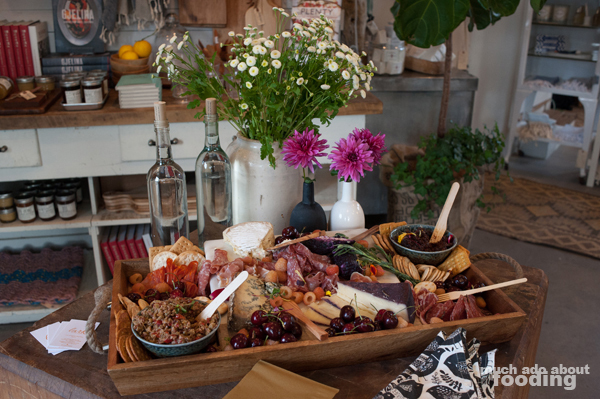 It migrates from place to place because of this, and every single one of them is geared towards fostering a sense of community through active conversation, beautiful design and lifestyle, mindful food, and local thoughtfulness by supporting artisans and creators. 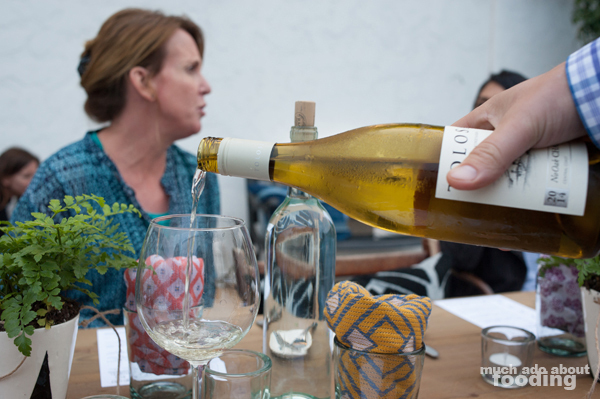 This evening featured Chef Kyle Powers of Fork in the Road Catering and Tolosa Wines in a four-course wine pairing menu that had my mouth watering just from reading it online. By the way, the more you read, the more you might be tempted to join them on the next one! I hadn't even entered the space where Lark #19 was hosted before I saw the welcoming sign out front which set the mood for a beautiful night out. 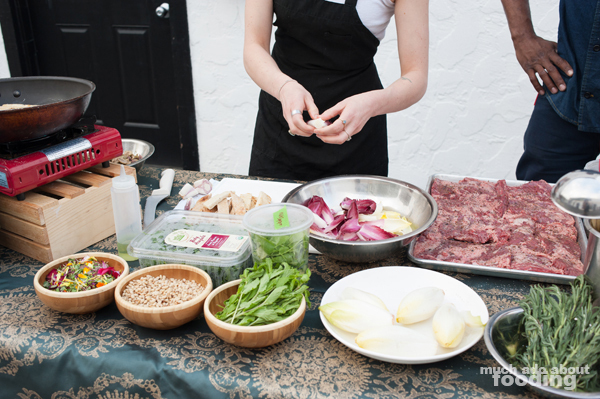 It was only one of the elements for the dinner that showcased the careful curation of Lark pop-ups. The concept itself originated from Lisa Gutierrez-Martinez, a lively well-spoken woman whose sense of adventure permeated the evening. From the start, everyone arriving felt welcomed by the atmosphere and the design. 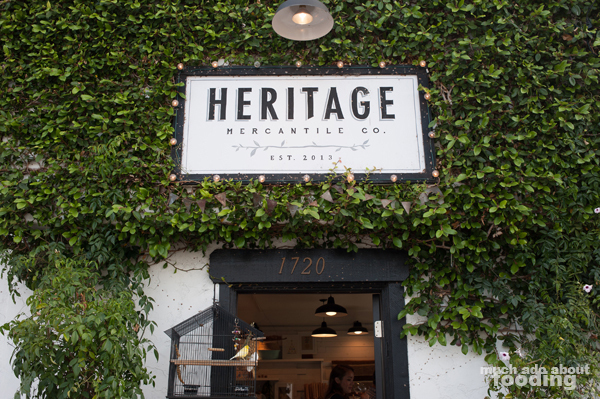 This particular Lark was hosted at Heritage Mercantile Co, a unique retail spot in Costa Mesa that focuses on "sustainable products, local artisans, and timeless designs." 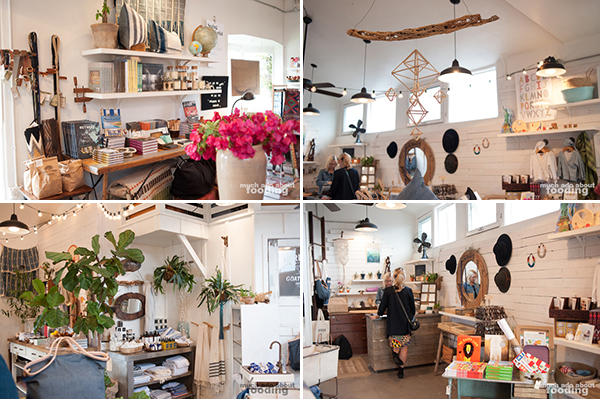 Located right off of 17th Street, the shop was charming and well-curated with local goods. 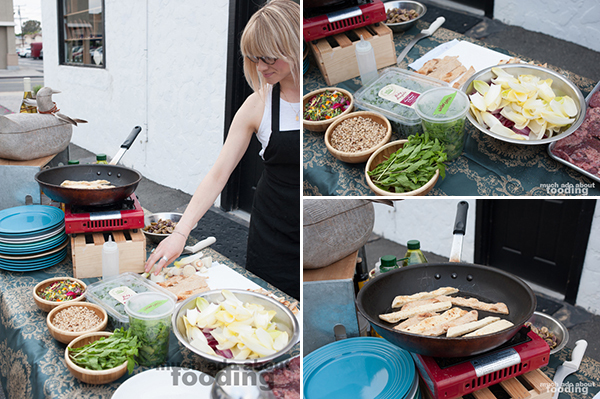 It was the perfect spot for a pop-up dinner event. 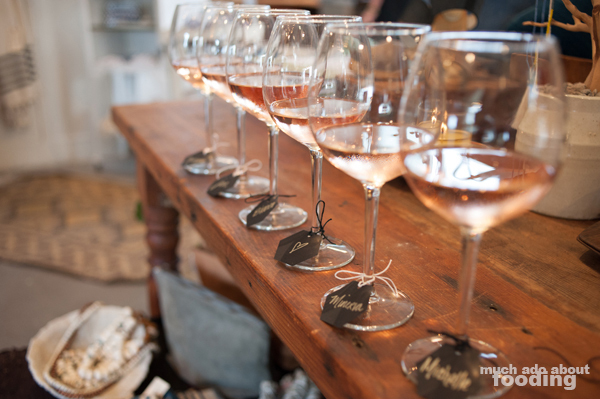 We began with introductions to everyone involved from Lisa herself to Monique Schulfer to Chef Kyle Powers. 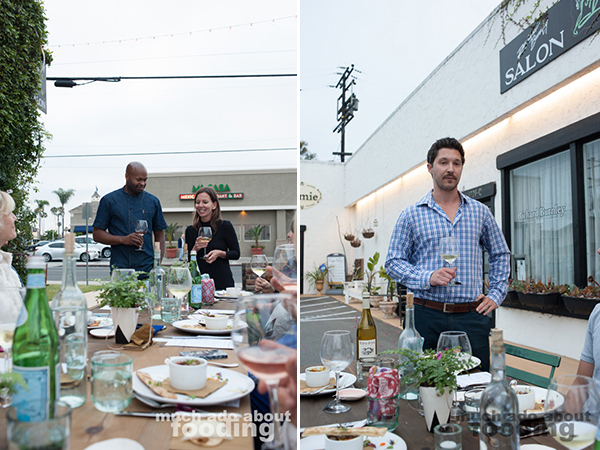 The conversations were lively all around, and having a representation from Tolosa Wines to explain each pairing was helpful and educational. 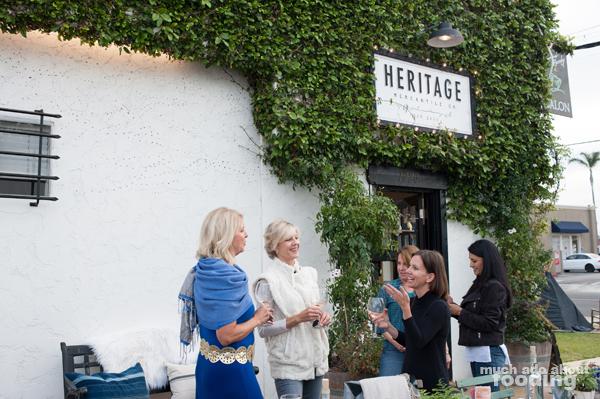 Given that every guest in attendance was there for the same love of good design and building community, the night carried on like a gathering of old friends. 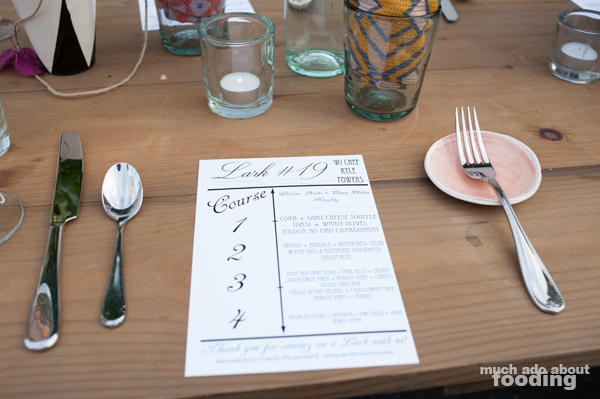 Dinner for Lark #19 was provided by Chef Kyle Powers of Fork in the Road Catering whom you might know if you are familiar with The Hood Kitchen where they work out of or if you have attended any of the several events that the company serves. It was interesting to see how they were able to cobble together such a diverse and tasty-sounding menu with their small set-up space. 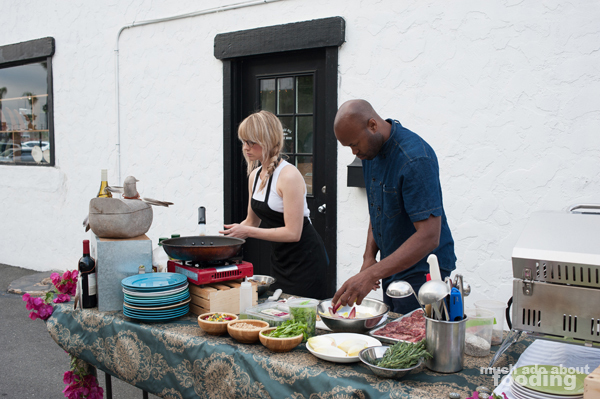 A few tables lined and sparse appliances seemed to be enough for the chef and his assistant to cook a wonderful meal. 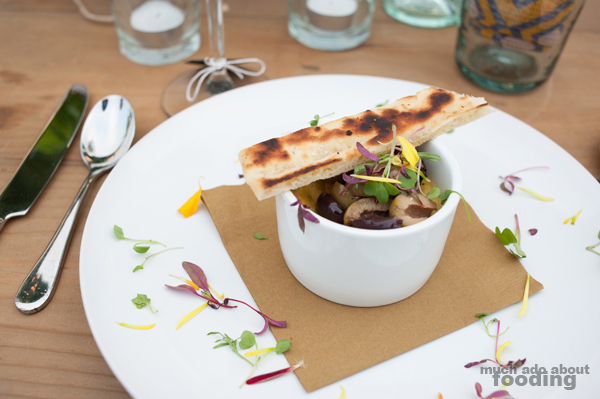 We began with the Corn & Goat Cheese Souffle (toast and warm olives) paired with Tolosa No Oak Chardonnay, a dish that made use of edible flowers and scattered microgreens for both decor and tasting points. 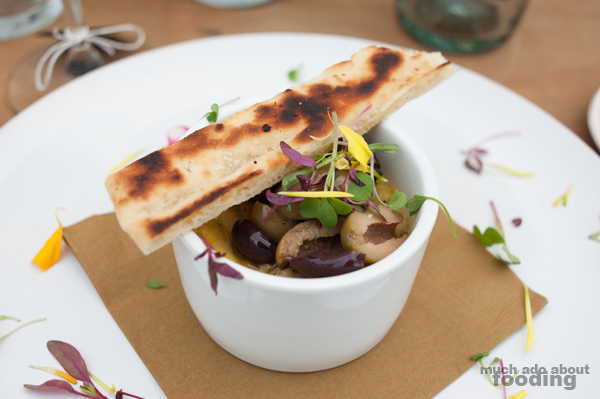 The sweetness of the souffle was balanced out by marinated olives, and the goat cheese gave a slight tang to everything. It was certainly not a way I would expect a souffle but a great starter. That was followed up by his Treviso + Arugula + Watercress Salad (pine nuts & blueberry vinaigrette) paired with Tolosa Rose, delightfully presented on varying styles of plates from diner to diner. I really enjoyed how then natural bitterness of the choice of vegetables was played on and complemented by a sweet dressing. 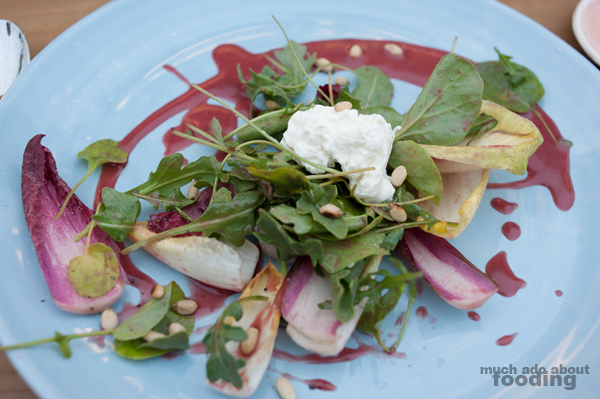 Chef Kyle also threw burrata on top of the salad, and who doesn't love that? The main course was a Meat Trio (skirt steak, pork belly, and chicken with cauliflower puree, haricot verts, carrots) to go with a Tolosa Pinot Noir. Vegetarians got a Falafel dish with the same vegetable accompaniments. Each piece of meat was uniquely enjoyable in its own way from the melt-in-your-mouth pork belly to the tender, juicy skirt steak to the hefty, hearty chicken. The cauliflower puree was also quite nice. To end it all, a savory dessert was shared in just the perfect size to sate those needing a small bit of sugar to finish. 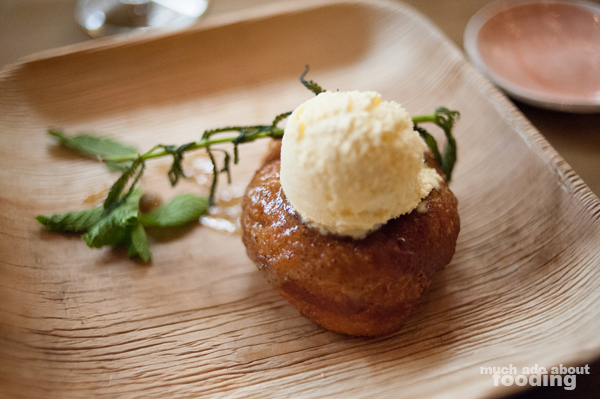 Melon Ice Cream topped a donut glazed in a kiwi coulis and was paired with some small glasses of cold coffee. It had just the right bite to it and sugariness without being overwhelming. Everyone around seemed to really enjoy their meal and company. If you are interested in going on a lark yourself, I would recommend you keep abreast of what Lark Artisan Market is doing. Maybe you'll be able to join them on the next adventure!